Mike Sexton's success at his first-ever WSOP prompted a move to Las Vegas, and he never looked back. 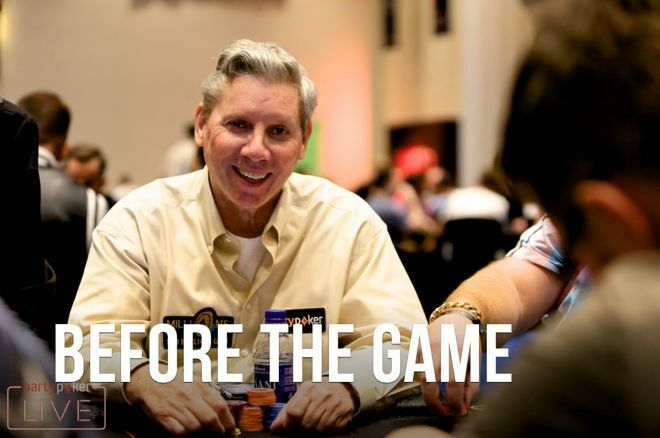 In Part One of Mike Sexton’s story, we heard how the partypoker Chairman took up the game of poker after a youthful post in the army and teaching ballroom dancing. But there’s no quickstep like the ones required at the poker table, and Sexton was on the cusp of a change in career. It would start with an ending, of sorts. Suddenly, he was looking forward to working at the poker table, and it was getting easier and easier to win money as he improved. “I never got tired of playing poker. When one game broke up, I couldn’t wait ‘til the next day to get back to the next game. I played in the bible belt of North Carolina for eight years before I moved to Las Vegas. I’d gone to Las Vegas a few times a year because I had good friends who’d made it big out there, like Daniel Robertson and Chip Reece." He remained a resident of North Carolina where he played in home games and ran his own twice a week. But in 1984, his first trip to the WSOP in Las Vegas prompted a move. With WSOP events starting every other day and cash games and satellites in between, Sexton went with the plan of playing in three events. "I thought that if I went broke, I could always go and get another job." From North Carolina to Las Vegas, Sexton went. And with his move proving to be a huge success, he started building the legend we now know. Times have changed greatly since those days, of course. Along with the popularity of online poker, Sexton believes the game’s reach has been its greatest innovation, and he's been on hand to watch the transformation. “I was never going to miss another World Series and thought that if I was going to be a poker player, I should live in Las Vegas." Sexton’s maiden WPT Main Event win came in November 2016, and he admits that it was a thrill to win with the backing of all the people he’d worked with on the World Poker Tour for so many years. “That [WPT win] was really great for me, because on the day of that final, the crew and staff of the WPT were pulling for me so hard to win. We fought a long heads-up battle and I was fortunate enough to come out on top, and now I get to take part in the Tournament of Champions. I started that in the 1990’s, so to be able to take part in that is very important to me." Before that win though, Sexton had loads of other poker accomplishments under his belt, despite only starting to play no-limit hold'em tournaments in the early 1990's. Life has come full circle for Mike Sexton. But he still remembers those old army days, even half a century after they took place. It’s why that charity donation he spoke of was so important to him. He gives back to remember. “I remember basic training like it was yesterday and it was 50 years ago that I was in the army. You just never forget it - those are fond memories going through jump school. I’m proud to have served and now I do all the charity events I can for Wounded Warriors and Paralysed Veterans of America because I so appreciate guys who make the ultimate sacrifice for us and serve overseas and serve our country. Sexton looks back on his military service with evident pride. But it’s his dancing background that has led to a personal pledge to himself this year. “I’m not dancing much these days, but it’s one of my New Year’s resolutions. I want to get back into it because I really miss it. For a long time, I liked ballroom and swing dancing. Sexton sees dancing as a great lifelong partner activity and mentioned the West Coast swing organization that hosts events in the western part of the U.S.
Mike Sexton has been helping people since he can remember, but all of it seems to have been enjoyable to the man with the widest smile in poker. Like anyone with such a rich history in life as well as poker, he carries with him some terrific memories of his time... Before the Game.